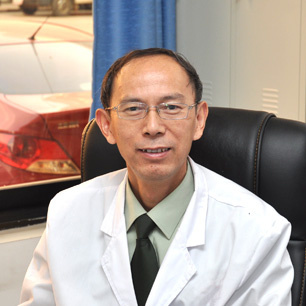 Position: Director of Specialist Consultation Center of Modern Cancer Hospital Guangzhou & Guest Professor of Southern Medical University. With thirty years of practicing medicine experience, Pro. Ke has dealt with thousands of cancer cases and accumulated rich experience of cancer diagnosis. He understands what cancer patients think and how they feel. Thus, he combines medical theory with medical skill to study medicine, pay attention to medical practice and have courage for innovation. Pro. Ke has summed up “four combinations” principle, “combination of treating symptoms and root cause”, “combination of partial therapy and general therapy”, “combination of western medicine and Chinese medicine”, “combination of treatment and rehabilitation”. Also, he invocated and applied “four joint” precise strike therapy, “targeted cancer stem cells, precisely killing cancer cells, deeply activation of immune cells, positive regulation tumor microenvironment”. This therapy lets cancer patients at home and abroad, who suffer from the torture of cancer, experience the convenience of effective therapy with low-toxic safety, no relapse. He also explores and makes great contribution to innovation and development of oncology therapeutics. January, 2015 to Now Has Worked as international consulting center expert of Modern Cancer Hospital Guangzhou and delivered speeches in Thailand, Indonesia, Saudi Arabia, Malaysia, Vietnam, etc.